Sometimes you’re lucky to be invited to an event that is truly memorable and surpasses all expectations. 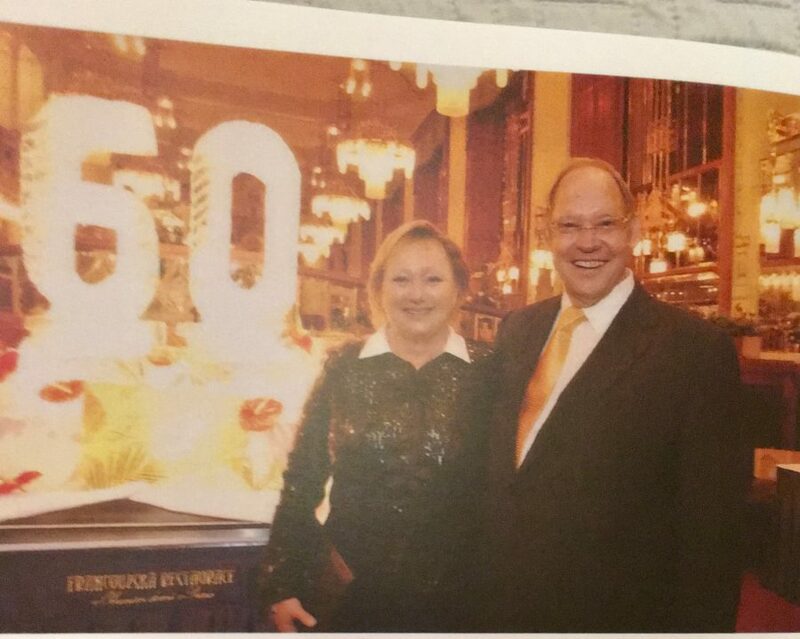 Such was the case with one of my beloved’s former employers who invited us to Prague to celebrate his 60th birthday. 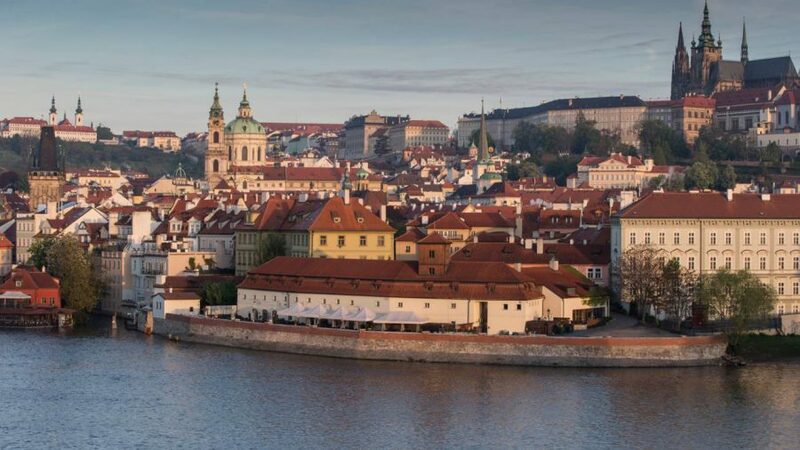 The event took place over a long week-end, taking in the very best that Prague has to offer. It wasn’t our first trip to the capital of the Czech Republic, we’d recently spent New Year there, again with my beloved’s boss and family. Not only was he a very generous host, I’ve never ever met anyone who could party like him. By Monday lunchtime, after the festivities had started for some of us as early as Wednesday evening, he still looked as fresh as a daisy on around a total of six hours sleep! The rest of us, whatever our ages, looked frazzled. But it had certainly been a celebration to remember. The whole event is one long blur and it’s hard to remember what happened when, even with my excellent memory – obviously drank too much champagne – but I’m going to give it a go. We arrived and checked into our hotel before going round to our hosts’ flat in central Prague which has a magnificent view of the cathedral. The flat is party central with plenty of open space for entertaining and a roaring fire. After cocktails and nibbles, we ate dinner in our hosts’ Italian restaurant. 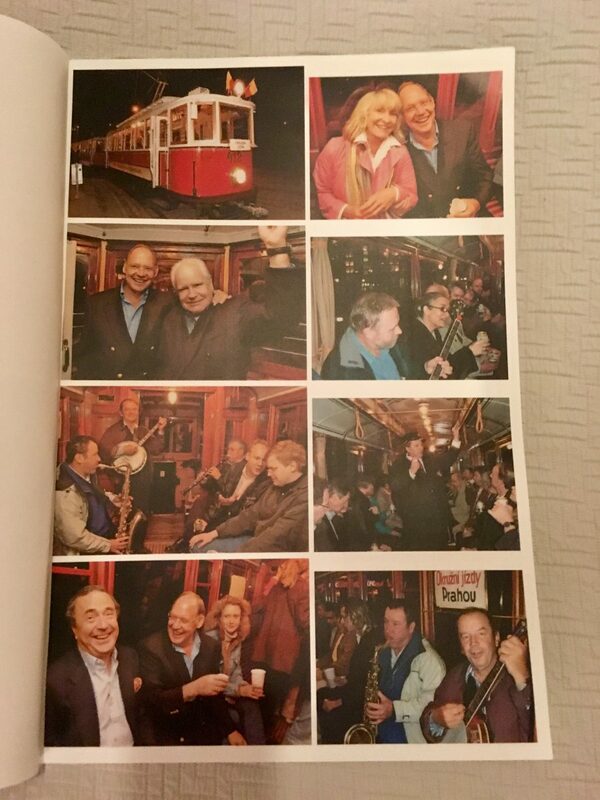 Most of the guests arrived on Thursday, so that evening we all took a (private) tram ride around Prague with a jazz band and plenty of bottles of bubbly, followed by a raucous dinner in a local Czech restaurant. Prague, at night, is magical and the tram ride was an ideal way of getting to know some of the other guests whom we’d not met before. Aside from dear family and friends, our host had invited many of his long-serving employees, including his chauffeur and gardener. 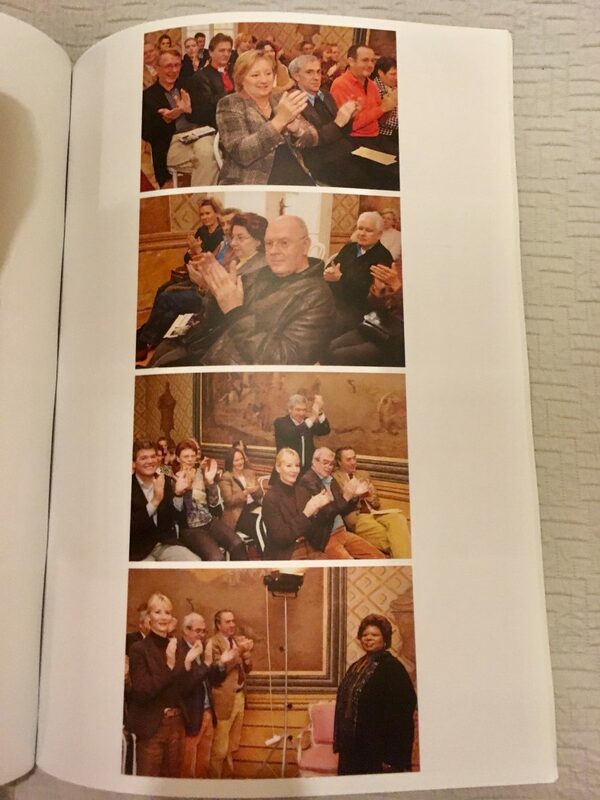 In addition, I know he arranged and paid for the trips of a number of guests who might not otherwise have been able to attend the event on cost grounds. 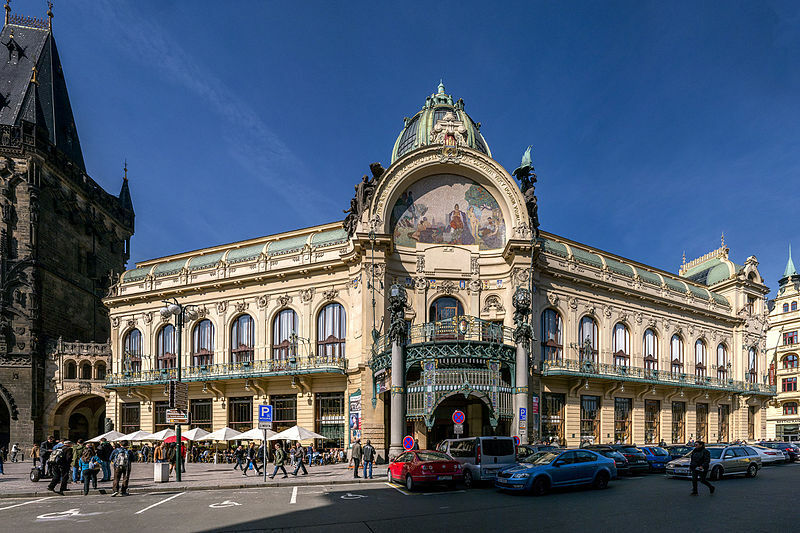 The following day, there were guided tours of Prague for those who were interested, a concert by a well-known American opera singer – flown in specially for the occasion – followed by dinner in another well-known Czech restaurant. 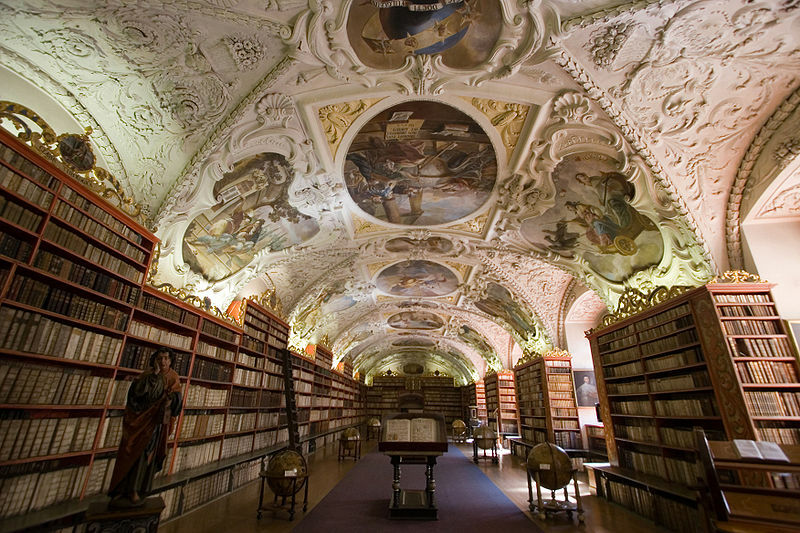 We skipped the organised tour as we’d done something similar the previous New Year, instead we visited a few architectural and historical delights that had previously escaped us, such as the library in the Strahov Monastry. 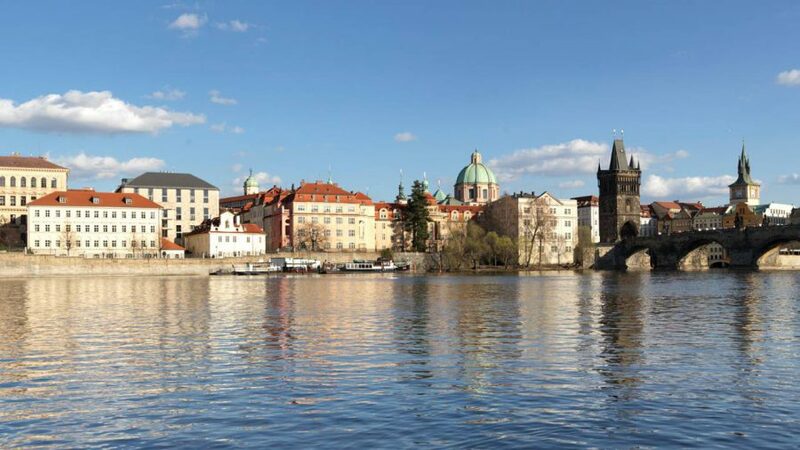 Saturday, the day of the birthday party, we were free to amuse ourselves – not difficult in a town as historic and beautiful as Prague though our host had laid on a lunchtime concert with a string quartet. 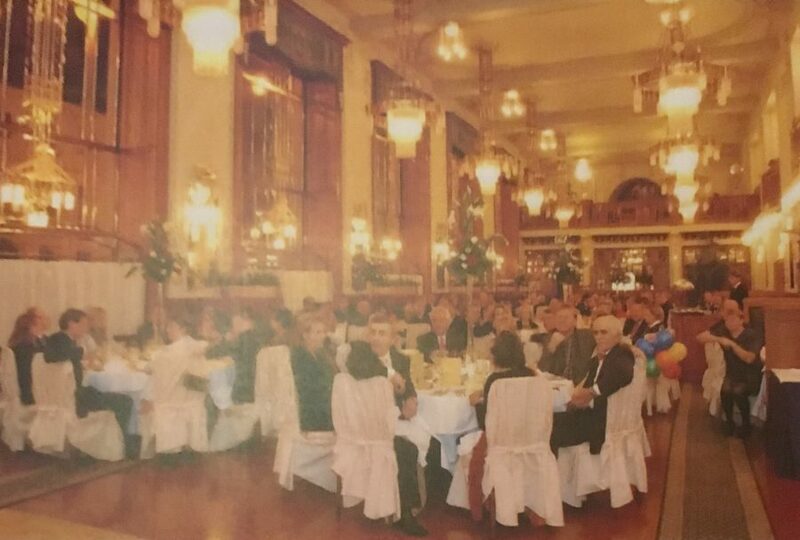 The dinner for over 200 people was held in the beautiful Art Nouveau restaurant in the Municipal House. The surroundings were truly magnificent, as was the evening which followed. 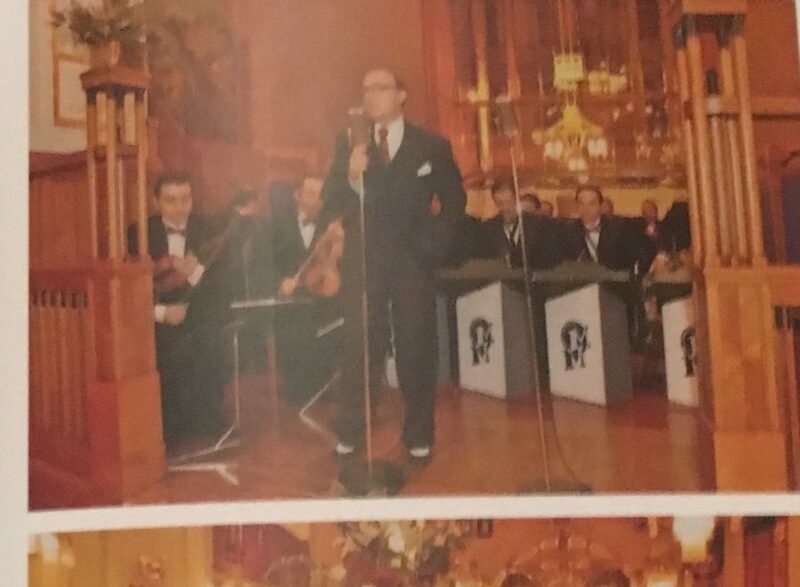 Many of the guest had prepared tributes to the birthday boy which kept the rest of us mightily entertained, plus we had more musical entertainment from the American opera singer and string quartet. After so much partying, some of us were visibly wilting, but the party went on until the early hours of the morning before a leisurely and lengthy brunch the next day. After which, most of the guests said their goodbyes and departed, while a few of us lingered until lunch the following day. 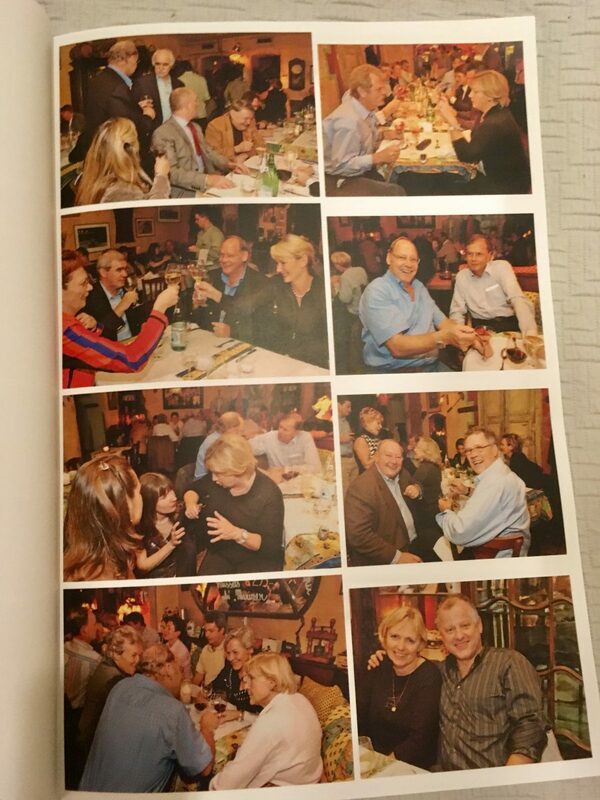 After the event, our host sent every guest a book containing photographs of the entire week-end (some of which I’ve included here – apologies for the poor quality) which has (fortunately) served as my aide-memoire. 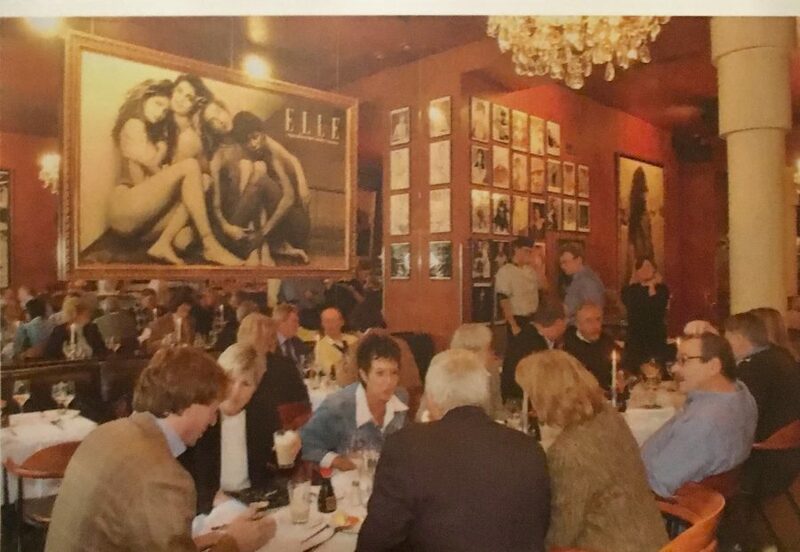 I’m somewhat camera shy and managed to elude the photographer, though there are a couple of rear shots of us. I don’t suppose we’ll ever attend another event like it, unless our host decides to throw something similar for his 80th in 2024. If so, we’re game! It must have. een beautiful party :-). Thanks! To be honest we couldn’t remember so it’s good of you to let me know. I’ll correct my blog. Ma’am, you have an amazing way of making your stories come alive. Your ability to recount is superb. Thank you, most kind of you to say that, Seyibale. 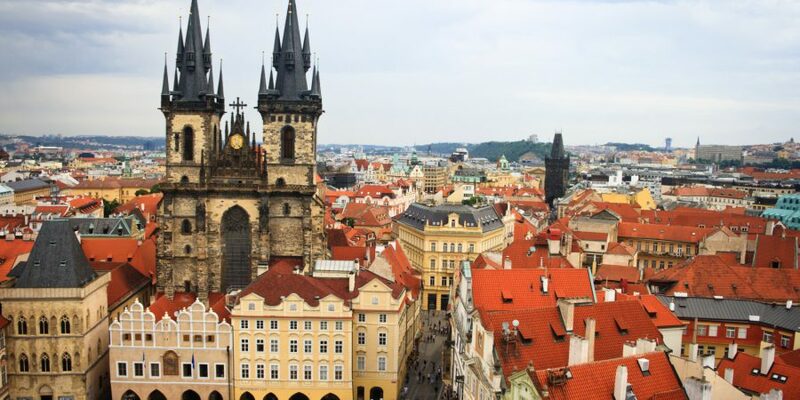 I look forward to visiting Prague someday. It’s a lovely city and I’m sure you’ll enjoy it.